Another quilt finish photographed yesterday and ready to share! Now I just have five quilt tops waiting to be quilted and finished. One is a baby quilt but the others are lap - twin size, so I'm trying to see how many I can get to before 2014 comes to a close! This one was made by the lovely ladies of Stash Bee Hive 6. I saw a similar, lattice style quilt block a ways back and kept it in my brain, but could never find it again. I think it used larger pieces, but I wanted scrappier and smaller. I wrote a tutorial for it right here. Every one in the 11 person bee was supposed to make one bee, but a few people made me two. I made a few extras to get to a 4x5 block setting. 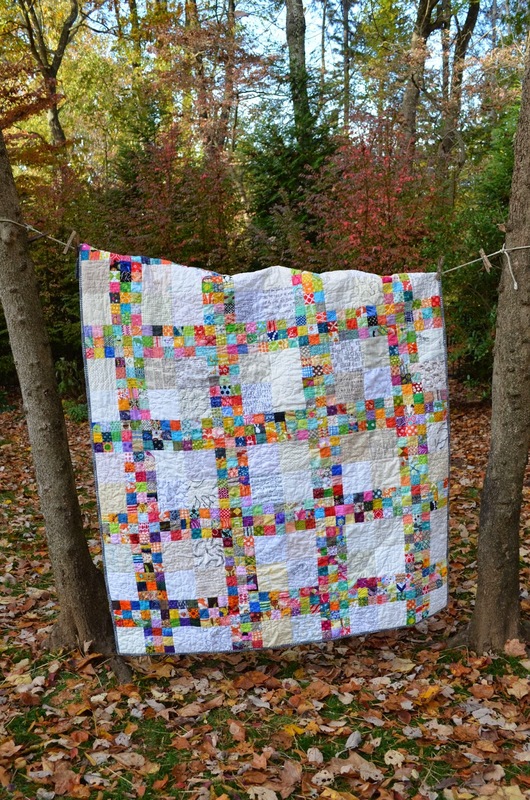 I just love all of the fabrics in this quilt - I could look at it forever! I'm so glad I went with the gray cotton + steel basic for the binding fabric - I was really torn on what to do. I think I'll be using these fabrics for bindings again. 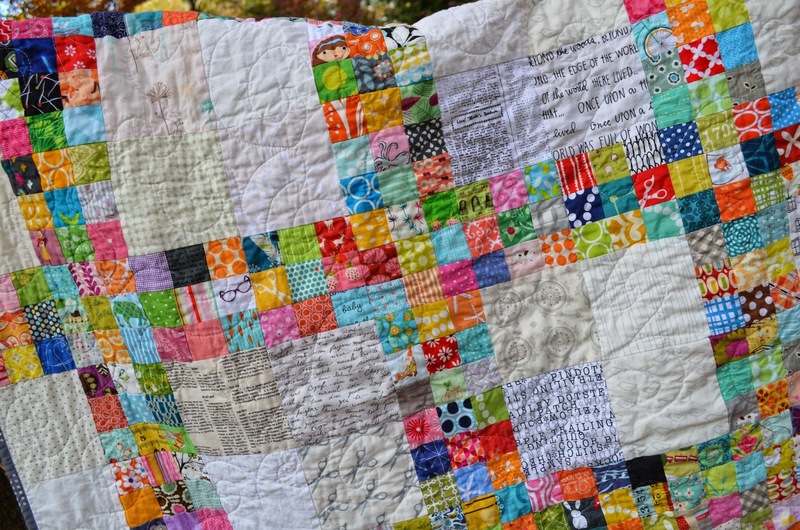 Once again, I quilted this with all over swirls using FMQ. I know, I'm kind of a one trick pony with my limited FMQ skills. One of the aforementioned to-be-quilted tops may get something fancier, so watch out! I love how bright and cheery this one is. Thanks to all of my Hive 6 Ladies, it has been a great year! I love how this turned out! 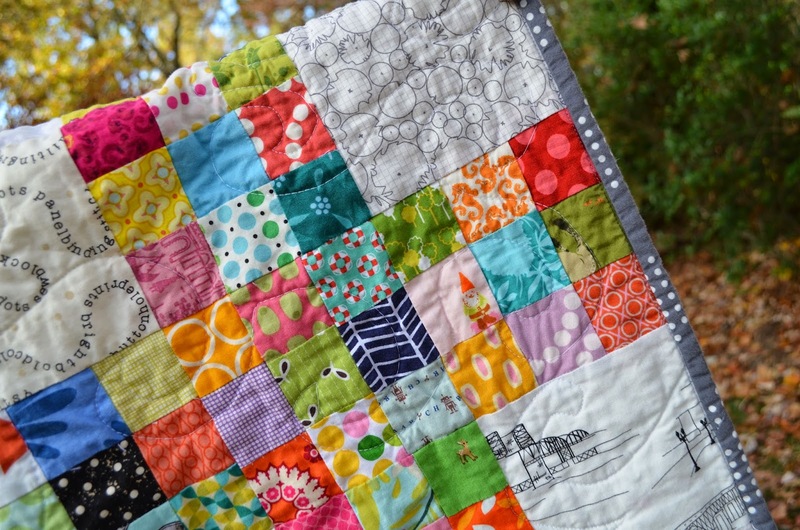 The mini patchwork is so bright and cheery! Gorgeous!! 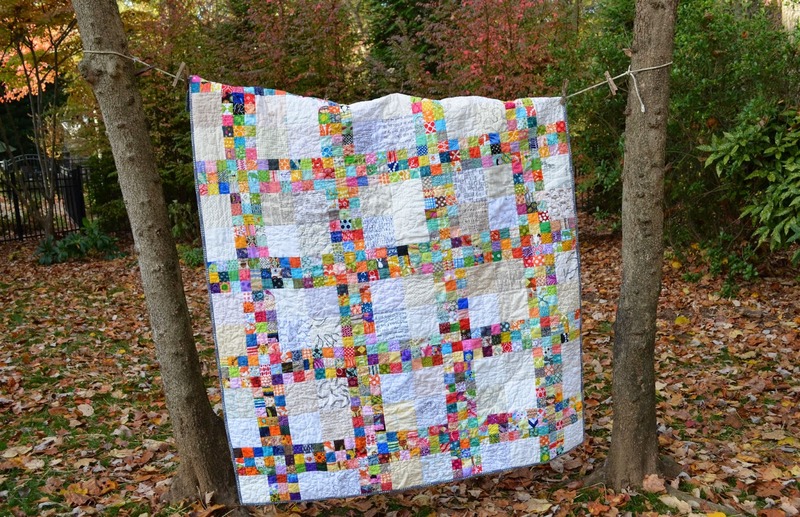 I love all the colors and the simple patchwork! I love this one, Courtney! A perfect quilt to do as a group too.